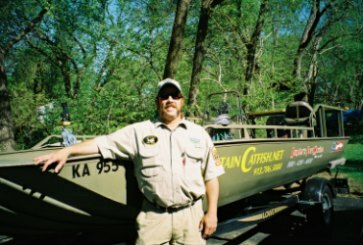 Awhile ago I told you about the Captain Catfish Classic. Here are the details straight from the Captain. Come out and support a great cause, catch some fish, enjoy live music, eat some good food, and camp. It’s going to be a great time and I hope you can make it. Below is a Google Map of the area for those who are not familiar with the area. …he takes blood baths. He should be good bait. 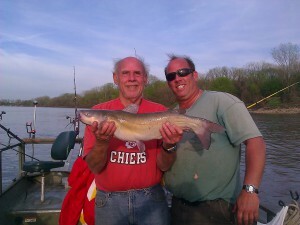 After the rains the channel cats have been biting like crazy. 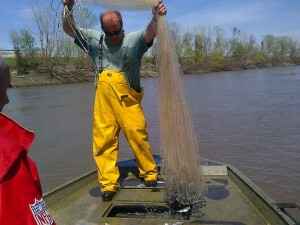 Lots of white bass are being caught in the creek also. 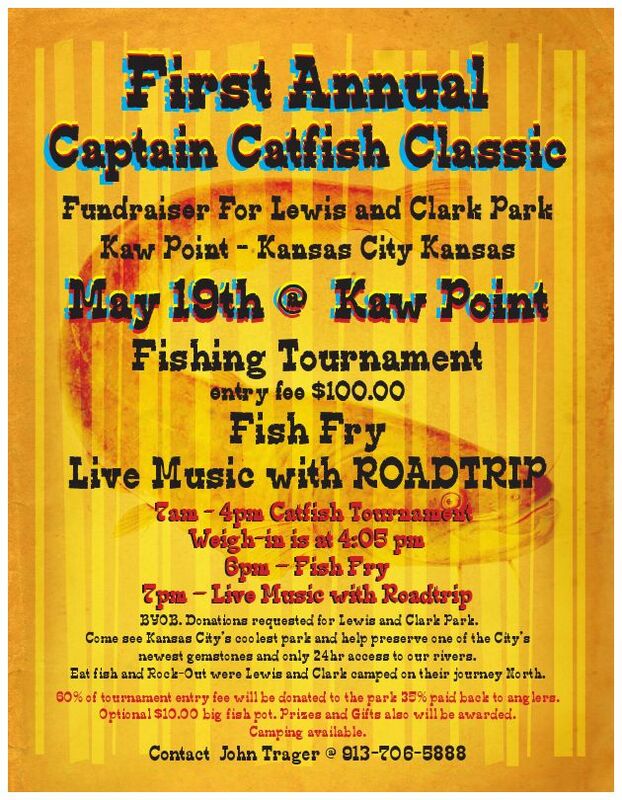 Don’t forget about the Captain Catfish Classic a fundraiser for Kaw Point Park or Lewis and Clark Park KCKS. May 19 2012. Tournament 7am -4pm. Fish fry at 5:30 pm. Live music with Roadtrip starting at 7:30pm. Camping will be available. BYOB Tournament entry fee is $100 60% going towards the park. 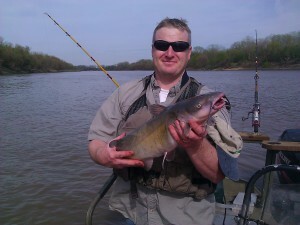 Two weeks ago we caught 10-12lb channel cats at the fastwater but smaller ones on the lower Kaw. 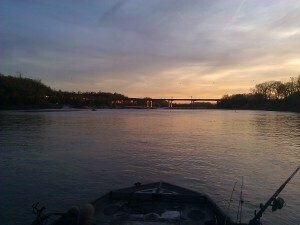 we went out tuesday searching for monster blue cats on the Missouri River but we didn’t catch anything first skunk of the year hopefully the last one of the year. 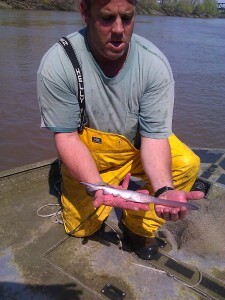 We could’ve caught small ones on worms but that wouldn’t satisfy our needs.